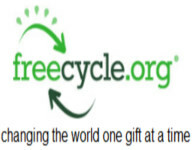 Thinking along the lines of recycling, Free cycle helps you to recycle your household goods. By allowing you to be in touch with someone who may need what you were just going to throw away, you can help save the planet with out even realizing how much your decision will impact it. This site is very popular and is even sponsored by one of the largest garbage companies in America, Waste Management. Save the planet one step at a time by recycling your old household goods. This is the home of one of the UK's best recycling websites. Here you can recycle your unwanted items for nothing, your junk could be another man's treasure. Freegive connects people who are giving and getting unwanted items for free in their own towns. It's all about reuse, reduce, recycle and keeping good stuff out of landfills. Its completely free to join. Providing recycling resource for large and small corporates, network operators, retailers and individuals with mobile phones that are no longer used. To find out more about recycling options in you community, check out Recycle Now today. This website helps those living in Scotland, London and even Wales, to find their local recycling firms so that you can help the environment and keep the planet clean and green for our future generations. 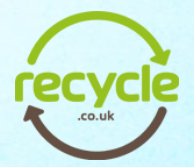 Recycle is UK's leading and most popular recycle marketplace. A free giveaway website, you can recycle your unwanted items for free in and around your area. From baby items, books and magazines, electronic gadgets, clothes and accessories, motoring, home and gardening, music instruments and so much more, Recycle is your #1 website for anything related to recycling! Snaffle Up is a UK based recycle company. The website helps you with recycling your old and used items by putting them back on sale. Snaffle Up provides you with recycled items, whilst taking your items and putting them to good use. The website puts up recycle items for free. Whenever an item is available, you will be instantly alerted. Some of the categories include baby items, clothing items, crafts, kitchen items, toys and so much more! Are you into the whole green concept and also into recycling Well why not check out this site. On the BIR or Bureau of International Recycling, you can keep up to date on the current international events associated with recycling. Check out the BIR today and see what the world is doing to help the planet stay clean and green. For a site that is all about recycling and making the Earth a greener place, look no further than this site. With everything from recycling guides to how-to on almost anything recycling related, you can find it here, so check out this site for all of you recycling needs. Form current news to recycled building materials, composting and even turning your wast into useable energy, this site has it all and its wrapped up in an easy to navigate format that you will enjoy. Help make our planet cleaner and greener today by checking out this site now. ######## Consumer Recycling Guide ################## SITE GONE ###### If you have been thinking about getting into the recycling arena, but do not know where to start, then why not check out this site that is basic and right to the point. This website features free information on how you too can start recycling in your home, or even on a neighborhood scale.